August 30, 2008 by Mal·Enter your password to view comments. But its back up and running and all is good! Bit of an update as to how my birthday went this year as people do know that in the past my birthdays have been really crap, with very bad luck. This year, pretty damn good. This year my birthday was on the Tuesday and spent the weekend before it down the coast. Spent the Sunday night at Burleigh (of which i havent actually touched up the photos yet, maybe today… maybe) just relaxing and chilling out on my own. On the monday morning i met up with Yena after she returned from Splendour in the Grass and we just chilled out for the day around the GC. That night after we checked into our Suite at the Hyatt Sanctuary Cove (yes i had a Suite and it was not any suite but the Manor Suite… their Top room!) we had Dinner at Versace thanks to my parents and a 2 for 1 offer for all Travel Industry staff 😀 Came back to work on tuesday to the team not making such a huge deal and it was a good day! The funniest thing though was when I got home i found out that my weird birthday cake request was fulfilled. 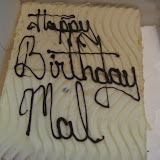 Before i had left on the Sunday i made a joke to dad telling him i wanted a Giant Vanilla Slice as a birthday cake with “Happy Birthday Mal” written on it. I didn’t think anywhere would actually do it… But they did! Photos in the links below! Also during this gap had the last of Holidays for Sale w00t w00t! its finally over for this season so can take a break 😀 On more work topics, We won the Wholesaler Challenge again! This time I lead the team (got out of it last time) and we made our way to just scraping in for the win, it was REALLY close. So close I thought we had lost! But we won!! It was awesome 😀 I wish I had more photos at this stage but when i get the offical ones from them (when they bring me the trophy) ill throw a heap more online! Did some plane spotting yesterday, really think i should get an airband scanner, almost missed out on a C17 coming in, thanks to Beau for keeping me informed as I was about to leave. I have been wondering what I should get for my birthday, all things points to yes on that level! On the plane spotting front it seems Amberley is having an airshow soon, that should be an awesome day! Can’t wait! 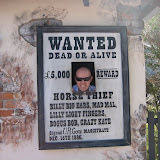 Anyway I am off to meet up with Jeremy and Yena for breakfast at Alibi room. I do believe Yena has challenged me to finish a truckers this time. I will eat it… I will!!! August 3, 2008 by Mal·Enter your password to view comments.